Globetrotter’s Corner: Travel Guide on South Africa | Blogger's World! 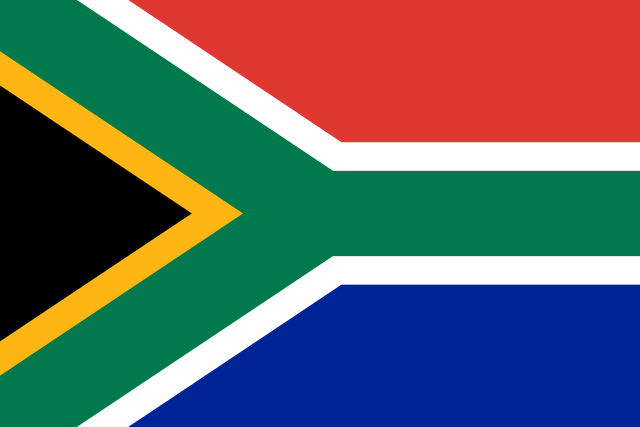 South Africa, officially the Republic of South Africa, is the southernmost country in Africa. It has 3 capitals – Cape Town (Legislative), Pretoria (Administrative) and Bloemfontein (Judicial). South Africa’s currency is the Rand, which offers visitors great value for money. The Rand comes in a range of coins (R1 = 100 cents) and note denominations of R10, R50, R100. South Africa has a temperate climate with usually long sunny days. South Africa requires a valid yellow fever certificate from all foreign visitors and citizens over 1 year of age travelling from an infected area or having been in transit through infected areas. The country has 3 international airports (Johannesburg, Cape Town & Durban), 2 international sea ports (Cape Town and Durban) and can also be accessed via road from neighboring countries (through one of 53 border posts from Zimbabwe, Swaziland, Namibia, Mozambique, Lesotho and Botswana). Natural Beauty – The scenic beauty is exquisite and varied. Attractions like Table Mountain, God’s Window, the beaches, islands, mountains are some of the natural attractions that would compel you to visit. Adventure Activities – Bungee Jumping, Mountain Walks, Abseiling, Cable Car Rides, Paragliding are safe, fun and provide that new thrill you seek on such a trip. Wildlife – South Africa boasts of a wide variety of wild-life sanctuaries like Kruger National Park, Sabi Sand Game Reserve and Waterberg Biosphere. Culture and History – With 11 official languages, the country is steeped in its rich heritage, arts and crafts, music. History comes alive as you visit the country of Nelson Mandela and their struggle for freedom. Natural Conservation – Satisfy the responsible tourist in you by being economically conscious and participating in the many social and conservation projects hands-on. Buy recycle art and stay green. The country’s legislative capital, is the most populous and is famous for its harbor, waterfront and its bio-diversity. Must visit attractions include the Victoria and Albert Waterfront, Table Mountain National Park, Kirstenbosch National Botanical Garden, Cape Point, City Hall, Wine Farms (Almenkerk Wine Estate, South Hill), Beaches (Camp’s Bay, Gordon’s Bay, Clifton Beach), Rupert Museum, Rhodes Cottage, Bay Harbor, Green Market Square. The largest city is South Africa also happens to be the largest city in the world to not situated close to a water body, like a lake, river, or sea. The city was named and established in 1886 following the discovery of gold on what had been a farm. Popular attractions are Apartheid Museum, Dynamite Factory Museum, Mandela Museum (located in Nelson Mandela’s former home), Cradle of Humankind (a Unesco World Heritage site), Sterkfontein fossil site (Australopithecus africanus), Johannesburg Zoo, Wanderers Stadium, Rosebank Flea Market and Mai Mai Market, for shopping and traditional healing, and Gold Reef City, an amusement theme park. Literally meaning Bay or lagoon in Zulu, Durban is the most important city in terms of trading, manufacturing and is the busiest port in South Africa. Climate if tropical and the city is known for hot and humid summers and warm winters, apart from frequent tropical storms and cyclones. Popular attractions that must be visited are Durban Botanical Gardens, uShaka Marine World and Aquarium, Inchanga Railway Museum, The Markets of Warwick, Victoria Embankment and uMhlanga Beach with the iconic lighthouse. The capital of the Northern Cape Province of South Africa, Kimberly has considerable historical significance due to its diamond mining past and the siege during the Second Boer War. It also known as the ‘City that Sparkles’ – roots of the De Beers company can also be traced to the early days of the mining town. Tourist Attractions are Big Hole Museum, McGregor Museum, Dutch Reformed Mother Church Newton, William Humphrey’s Art Gallery. Blyde River Canyon and Kadishi waterfall – one of the largest canyons in the world offering scenic views of lush green expanses that houses numerous species of marine and wild life. Kruger National Park – one of the largest game reserves in Africa spread over a whopping 19,000+ square kilometers. Robben Island – a Unesco World Heritage site and also the prison where Nobel Peace Prize awardee and South Africa’s first black president, Mr. Nelson Mandela was kept captive. Food Tours – to explore the local cuisine of South Africa. Marine/Aquatic – Snorkeling, Sea Diving, Shark Cage, Whale Watching. International Airports handle in excess of 20 million passengers a year. In 1866, Erasmus Jacobs found a small brilliant pebble on the banks of the Orange River, on the farm De Kalk leased from local Griquas, near Hopetown, which was his father’s farm. He showed the pebble to his father who sold it. The pebble was purchased from Jacobs by Schalk van Niekerk, who later sold it. It proved to be a 21.25-carat (4.3 g) diamond, and became known as the Eureka. African penguins used to be called Jackass penguins because of their braying call. The Drakensberg Mountains are home to a large number of threatened and endemic plants as well as nearly 300 bird species. One of South Africa’s oldest companies, South African Breweries Limited (SAB), has been brewing beer since 1895. Grilled chicken feet and heads – known as walkie-talkies – are a popular dish in rural South Africa. All photos in this articles are user-contributed and rights of the same are retained by the users. Usage of the above photos without permission is prohibited. The Author or the forum Blogging101 Alumni and its readers does not have the rights to use these photos except for the purpose of including them in this article. What a fun and excellent post! It sure makes me want to travel there. I especially liked learning about Eureka….and a new kind of walkie – talkies! I tried that on my dumb iPhone. I’ll do it later on my Mac. I’m not on the computer much while being full-time granny! Can you do a post on Germany near Stuttgart? Loved the post. Please visit https://blogging101alumni.wordpress.com/ for the full post and meet lots of new friends and fellow bloggers! Interesting post, thank you Piyusha and Marica. Sure, shall think up of an interesting angle to make it different from travel guide . Thank you for sharing this fun filled article full of interesting facts, Piyusha and Marica. How beautiful! Thanks for posting!